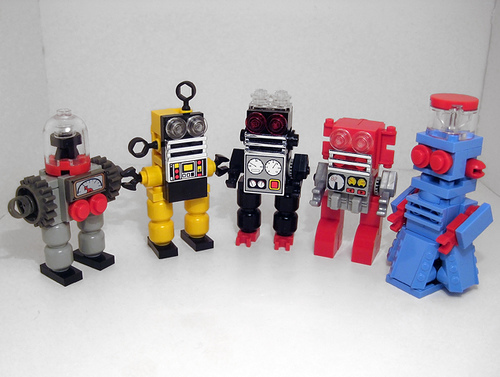 What comes to mind when you think of “LEGO robots”? Probably something that fits in our standard mecha category. But Mike Crowley‘s mind is slanted in a very beautiful way, yielding a passel of plastic robots of the tiny and tinny variety. what is the control peice on the blick bot and where is it from? chayo: Here are the sets that piece came in.